If you’re looking for a little more performance in your life, the latest offering from Mercedes-AMG is set to be a real crowd pleaser – we just have to wait a little bit longer. Anyone who enthuses over the combination of good looks and high performance will hotly anticipate taking a closer look at the brand new Mercedes-AMG A 35 4MATIC and, in New Zealand, we don’t have too much longer to wait. This exciting entry-level performance hatchback is set to hit our shores in 2019. This car is designed to perform, powered by a two-litre four-cylinder turbo engine with 306 horsepower and combining that power with sophisticated traction and suspense control systems that afford the driver the comfort and safety of a smooth ride. 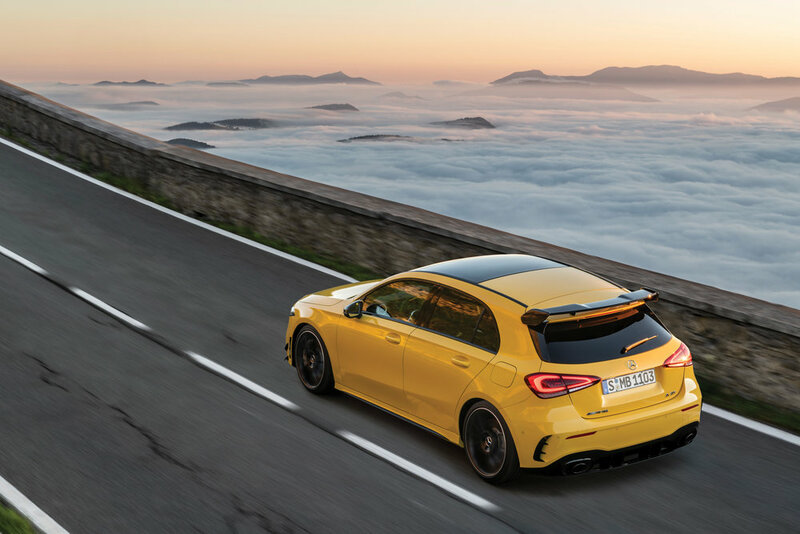 This sharp-looking hatchback represents the ideal introduction to the AMG Driving Performance world. The radiator grill, the front spoiler, a front splitter and decorative elements in silver chrome make a clear and stylish design statement that is distinctly Mercedes-AMG. The good looks don’t stop at the exterior. The interior boasts a new MBUX multimedia system and a dashboard designed for sport with a round tachometer front and centre. The attention to detail sets this stunner ahead of the pack. Fans of the AMG range as well as those who appreciate quality, sports performance and style will want to keep an eye out for when this exciting new addition hits the ground.